Police are appealing for information after dashcam footage captured a car driving dangerously in Morecambe. The footage, captured at around 7.30pm on October 18 by a female driver, shows a silver Volkswagen Golf swerving in front of oncoming vehicles, driving on the wrong side of the road, and pulling out and stopping in front of an oncoming vehicle. 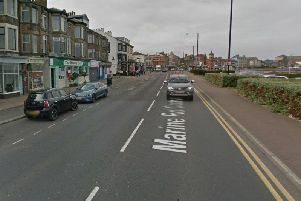 The incident, which lasts around two minutes, happened in the Euston Road and Lancaster Road areas of Morecambe. No-one was injured although enquiries are on-going to identify the driver of the Volkswagen. A spokesperson for Lancashire Police said: "Lancashire Police take this kind of anti-social driving very seriously and would ask anyone that witnessed the incident or with information to contact police on 101 quoting log 0372 of October 18."